Click the link above to be directed to our online bookings page. 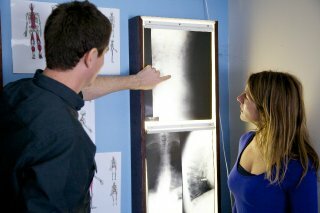 If you are new patient please click on Chiropractic Initial Consultation. If you are an existing patient please select chiropractic regular appointment. If your required time is less than 4 hours away please call our clinic on 66841028 to make an appointment over the phone. Download the Mullumbimby Chiropractic New Patient Form by clicking on the link below. The information below will help you get the most out of your visit at Mullumbimby Chiropractic. * We do our best to run on time, however each case is assessed and treated differently which sometimes requires longer consultations. Please be patient with our staff if this is the case. * Please ensure that your mobile phone is switched off or on silent whilst you are in the clinic. * Our staff will usually try to send you a reminder sms for your appointment. Please do not rely on this. If you cannot make it to an appointment please ring the clinic as soon possible. The more notice we get, the fewer the problems it causes. * Payment is required at the time of consultation. If you are unable to make payment please call us ahead of time to discuss your options. 3. Your full medical history. It may be helpful to write this out on a piece of paper ahead of time. 4. Clothing that you are comfortable in and that allows free movement. Please do not wear jeans. If you are receiving a massage with your treatment please wear underwear or bike shorts that you are comfortable to change down to.